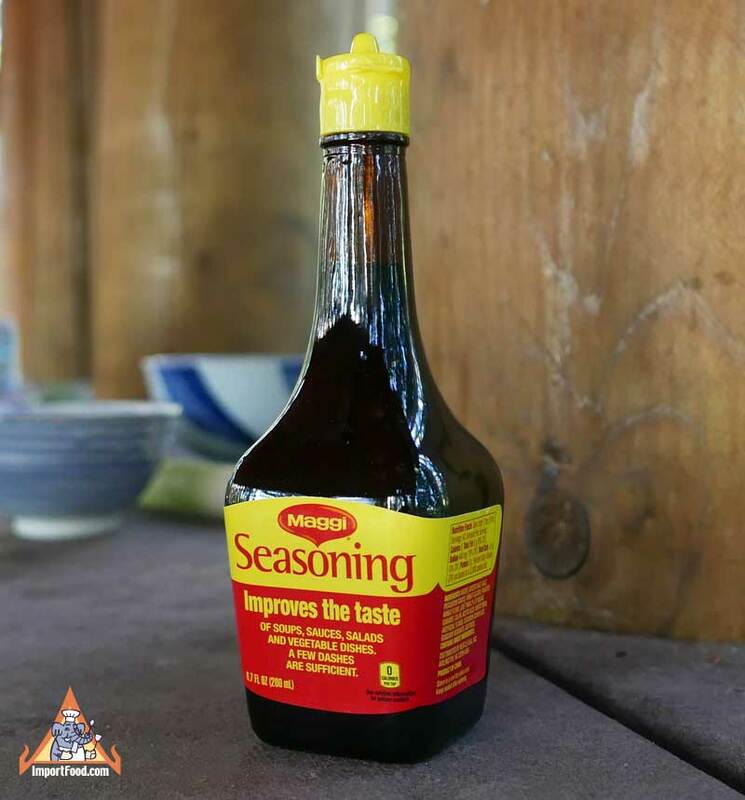 High quality Asian seasoning from Maggi of Switzerland. A few drops adds a unique flavor to just about anything. A little goes a long way--experiment with it. Maggi is popular around the world, used in a wide variety of recipes notably to flavor eggs and soups. The label says "Improves the tates of soups, sauces, salads and vegetable dishes. A few dashes are sufficient." In Thailand, a lot of street vendors will use the equivalent "Golden Mountain Sauce" instead because it costs less. We use Maggi to flavor the eggs in our popular Isaan-style snack Grilled Thai Sticky Rice with Egg, 'Khao Jee' (see photos below). Ingredients: water, salt, wheat gluten, wheat, and les than 2% of wheat bran, sugar, acetic acid, artificial flavor, disodium inosinate, guanylate, dextrose, caramel color. Product of China. This is a Thai version of "pepper steak", prepared using Thai ingredients. Thai pepper powder and sesame oil combine with sweet peppers to create this tender steak stir-fry. We used top round steak which worked great.